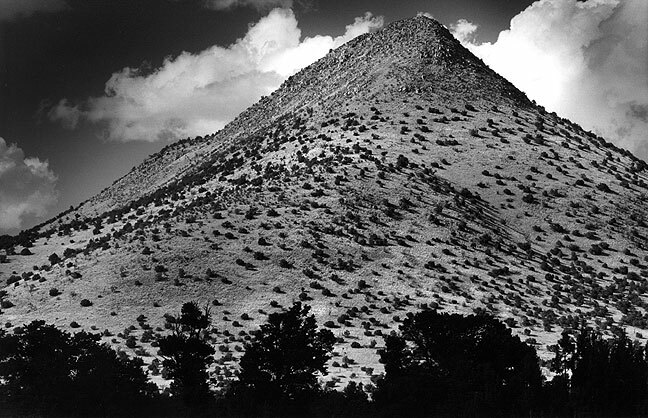 Tres Montosas, a peak on U.S. 60 near Magdalena, New Mexico, September 2000; this image was made with a red filter on a 135mm f/3.5 Nikkor of 1978 vintage. On my travel blog, I post images from all of our adventures, including some from quite long ago. The oldest in the collection is a college road trip from 1985. In 1985, the year I got my first newspaper job, I carried a 28mm f/2.8, a 50mm f/1.2, a 55mm f/2.8 Micro-Nikkor, a 105mm f/2.5 and a 200mm f/4. 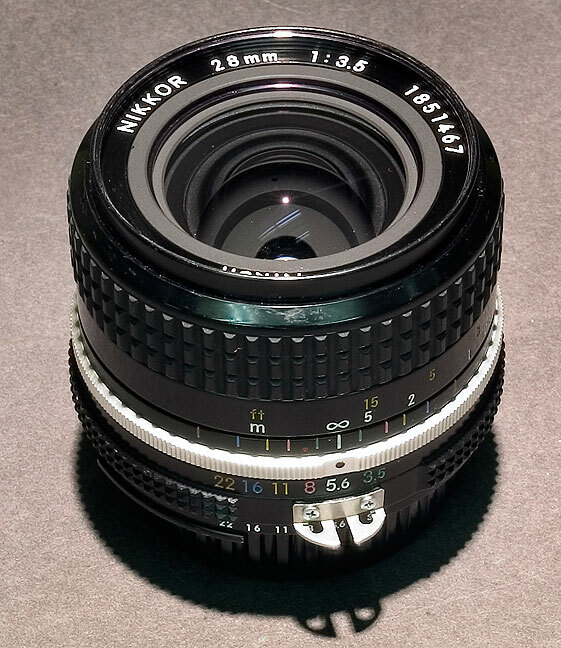 I bought this Nikkor 28mm f/3.5 used in the mid 1990s. It is an “AI” lens, which dates it as pre-1981 or so. I think I paid $75 for it. It was lightweight and amazingly sharp. In the early years of these adventures, I had between my ears that instead of shooting these trips like I shoot news, I was just going to make “high art.” Looking back, I believe this was a mistake. There’s nothing wrong with attempting to be artistic, but that goal got in the way of recording the event and making memories. I made far fewer images than I probably should have. At the time, I eschewed zoom lenses. In my defense, at that point in photographic history, zooms weren’t what they have become in the 21st century. 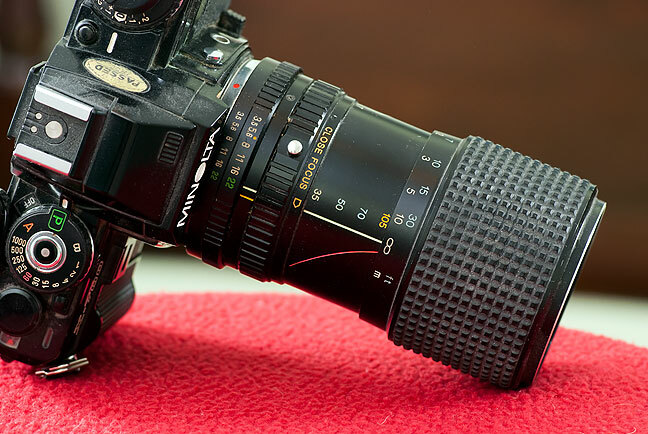 I recall that by 1987 my kit for shooting news included these Nikkor lenses: 20mm f/2.8, 24mm f/2.0, 28mm f/2.8, 35mm f/2.0, a 55mm f/2.8 Micro-Nikkor, 105mm f/1.8, 180mm f/2.8, and a 300mm f/4.5. It was a pretty standard bag for a news shooter in that era. You could do a lot with it, but it was a lot of very heavy glass. On a hiking trip in 1990, I took only one lens, a 55mm macro, thinking that I didn’t want to carry all that heavy equipment on a long backpacking trip. It’s a good lens, but not nearly as versatile as it needed to be. A buddy of mine gave me this old Minolta with a Tokina 35-105mm f/3/5-4.3 zoom of 1985 vintage. I’ve never shot anything with it, but my guess is that it’s not impressively sharp, but would have been a good choice for a trip to New York City or Denver back in the day. I was stuck in the “prime lenses are the only lenses” paradigm for a long time. I wasn’t wrong, though, since so many early zooms were junk. Still, looking back, I believe I would have been more successful with a midrange zoom than with one or two primes, particularly if I’d been able to see my goal as more about recording the moment and less about creating perfect art. 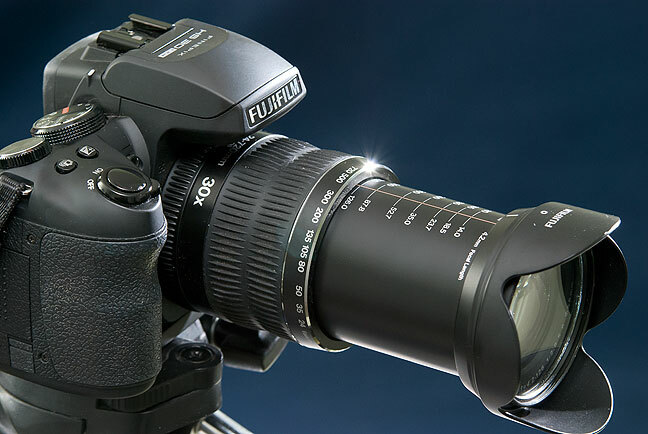 Despite having a smaller image sensor than a DSLR, the trump card of the Fuji HS30 EXR is its light weight and super-versatile 24-720mm (equivalent) lens. My wife Abby and I came across a cattle drive in Mancos, Colorado in October. We both jumped out of the car and tried to chase it down. 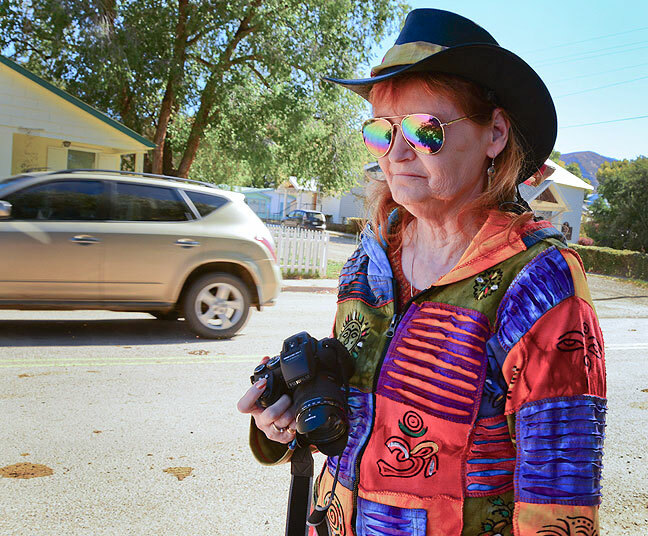 Abby is pictured here with her Fuji HS30 EXR, a small, light, easy to use and carry bridge/prosumer camera. It would have been close to impossible for her to use a bag full of heavy DSLR gear in a situation like this. In 1983, I had a Sigma 28-80mm zoom for a short time. I traded it away by 1985, but sometimes I think I could have put it to good use on trips like A New York Minute in 1985 or Into the Fire in 1990, particularly since most of the images I made then were either in bright light or from a tripod, which would have allowed me to use smaller apertures, at least somewhat improving the image quality. I guess the good news after all this hemming and hawing is that I have settled in to formula: lightweight zooms either on a digital SLR or built into a bridge/prosumer model. It’s a completely different style of photographer than my daily shooting with big, heavy lenses and multiple pro cameras, but it is more fun and more productive for those occasions. 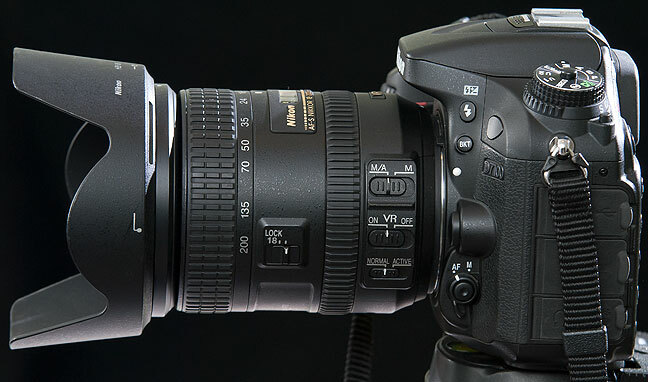 Today my favorite lens for travel is the AF-S Nikkor 18-200mm f/3.5-5.6 G II ED. It is a compromise between image quality and versatility, but for road trips and hiking jaunts, it excels in letting me capture the moment.